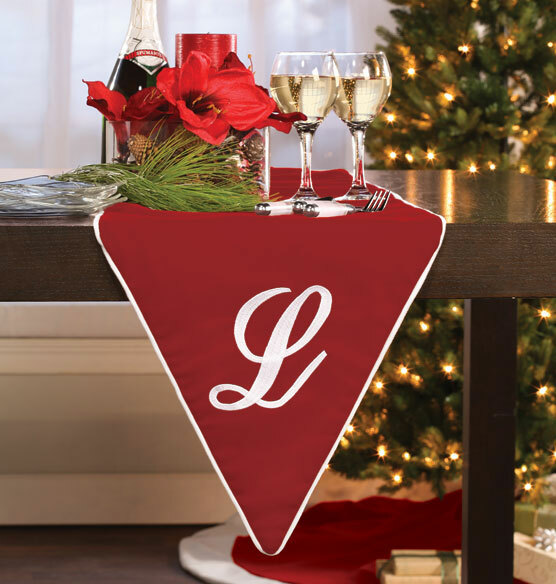 Add traditional holiday elegance to the table with this luxurious monogrammed 72" red velvet table runner. The ultra-soft velvet fabric drapes gracefully over the table, with triangular ends for a sophisticated look. A monogram on the end adds a personal touch.